Prostate cancer is the sixth leading cause of cancer death among men worldwide. Risk stratification is used to facilitate the selection of optimal treatment approach; however, there is a lack of consensus in the prostate cancer risk-stratification systems. Furthermore, the term ‘locally advanced’ is often misused with high-risk disease. This poses problems when interpreting clinical trials and evaluating treatment outcomes. As a result the patients studied in clinical trials represent a heterogeneous population. The current standard care for locally advanced prostate cancer is a combination of radiotherapy (RT) and androgen deprivation therapy (ADT) and this is supported by several large randomized clinical trials. Long-term ADT is recommended but the optimal duration remains to be better defined. The use of newer and more potent hormonal agents appears to be promising, at least in the setting of metastatic castration-resistant disease, but their role in locally advanced disease remains undefined. This article will summarize the available literature concerning the recent development of hormone therapy in reference to locally advanced prostate cancer. As for the future, individualization of treatment and personalized cancer care is the trend. The availability and the use of improved cellular and/or molecular markers to better risk stratify prostate cancer patients will allow us to select the most effective therapy to enhance the overall outcome. An erratum to this article can be found below. Prostate cancer is the second most common cause of cancer and the sixth leading cause of cancer death among men worldwide with an estimated 899,000 new cases and 258,000 new deaths in 2008.1 Risk-stratification systems are used to assist with treatment selection, ensuring prognostic uniformity in clinical trials, and in the evaluation of treatment outcomes. 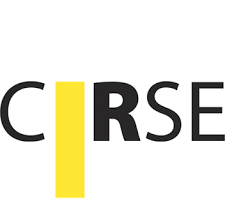 Based on work by D’Amico et al.,2 the Genitourinary Radiation Oncologists of Canada (GUROC) developed a classification system for patients with localized/locally advanced disease based on T category, prostate specific antigen (PSA) level at diagnosis, and Gleason score.3 High-risk disease is defined as the presence of any of these factors: cT3 or cT4 category, PSA >20 ng/ml, or Gleason score >8. The exact definition of high-risk prostate cancer at diagnosis remains controversial and this lack of consensus remains a barrier to comparing clinical outcomes of various institutional series and results of clinical trials. Table 1 provides a summary of definitions of high-risk disease from different consensus groups.2–6 The term ‘high-risk disease’ is often incorrectly used to describe patients with locally advanced disease. As a result, the patients studied in clinical trials of high-risk prostate cancer represents a heterogeneous group, including those with clinically organ-confined disease (cT1/T2) with Gleason score 8–10 and/or PSA >20 ng/ml, and those with locally advanced disease (cT3/T4). The proportion of patients presenting with locally advanced disease at diagnosis has decreased in the past 20 years, largely as a result of widespread PSA screening; however, this presentation remains a common clinical problem and management remains controversial. Since the discovery of hormone dependence of prostate cancer by Dr Huggins in 1941, hormone therapy has become the mainstay of treatment in metastatic prostate cancer.7 Hormone therapy now has an increasingly important role in earlier stages of prostate cancer and is the standard of care in locally advanced disease when used in combination with radiotherapy (RT). Over the past few years multiple new hormonal agents have become available to treat men with metastatic castration-resistant prostate cancer (mCRPC). In this review, we will focus on the possible role of these agents in clinical locally advanced prostate cancer (cT3/T4). The current standard treatment for men who present with locally advanced prostate cancer is radiotherapy with concurrent and adjuvant androgen deprivation therapy (ADT). This is based on the result from a number of major clinical trials conducted over the last 20 years. Several large randomized clinical trials demonstrated ADT combined with radical RT is associated with significant benefits in local disease control, development of metastasis, disease-free survival (DFS), and overall survival (OS). The initial testosterone surge and subsequent microsurges seen with gonadotropin-releasing hormone antagonist (GnRH) agonists prompted the search for alternative ADT strategies. GnRH antagonists bind directly to and block GnRH receptors and are not associated with any increase in testosterone on treatment. The third-generation GnRH antagonist degarelix has been extensively studied and is increasingly being used in advanced prostate cancer. Initial data suggest degarelix is at least as effective as GnRH agonist.23,24 Klotz et al., comparing degarelix with leuprolide, found more rapid suppression of testosterone and PSA with the use of degarelix.25 This study also suggested that degarelix therapy improved PSA PFS but this needs confirmation in other trials.26 The advantage of degarelix is its monotherapy approach without the need for anti-androgen to prevent the initial testosterone flare. The other potential clinical advantage is its use in highly symptomatic patients when rapid testosterone suppression is favored. However, the main clinical drawback in its use is monthly administrations unlike most of the GnRH agonists, which are given at 3 or 4 monthly intervals. In addition, there is an increased risk for injection-site reactions and chills with degarelix compared with leuprolide. Medical castration prior to RT is often used in patients with locally advanced disease to reduce the size of the prostate prior to RT and also to improve lower urinary tract symptoms (LUTS). There are preliminary data suggesting that degarelix produces a reduction in prostate volume similar to that produced by goserelin acetate while giving better LUTS relief in symptomatic patients.27,28 While further studies need to be carried out to define the role of GnRH agonists in locally advanced disease, there are sufficient data to suggest that degarelix is a reasonable alternative in 2014 to LHRH agonists in this setting—especially in highly symptomatic patients. The role of persistent androgen-axis signaling, which is mediated by intratumoral androgen synthesis (in addition to testicular and adrenal synthesis), in driving tumor growth in patients with CRPC is now well established. Abiraterone is a first-in-class inhibitor of the CYP17 enzymes mediating androgen synthesis, both extragonadal and gonadal. It has been shown (in combination with prednisone) to improve OS in patients with mCRPC in patients who were previously treated with chemotherapy and in those who were chemotherapy naïve.29–31 The reported toxicity has been low, although higher mineralocorticoid adverse effects, such as fluid retention, hypertension, and hypokalemia, were seen in patients who received abiraterone compared with placebo. Abnormalities in liver-function testing are also seen with abiraterone and there is some suggestion of increased cardiac dysfunction in some patients. Orteronel (TAK-700) is a new CYP17 inhibitor with potentially greater selectivity for androgen as opposed to corticosteroid synthesis than abiraterone and is in phase III development for the treatment of mCRPC. Two phase III trials are currently undergoing: one will evaluate patients who have progressed following taxane-based chemotherapy (NCT01193257; the other will evaluate patients who are chemotherapy naïve (NCT01193244).32,33 Both studies compare orteronel plus prednisone with placebo plus prednisone. The role of these agents in the locally advanced non-metastatic and nonhormone resistant setting remains to be determined. There are numerous single institution phase III studies investigating the use of abiraterone in addition to standard ADT + RT in patients with locally advanced disease. The RTOG is conducting a phase III trial (RTOG 1115) in the setting of highrisk localized disease in which the patients receive the ADT with GnRH agonist in conjunction with dose-escalated RT and randomized to receive addition of TAK700 for 2 years or not (NCT01546987).34 There is no current evidence to support their routine use in the adjuvant/neo-adjuvant setting. Enzalutamide (MDV 3100) is a novel androgen receptor (AR) antagonist that binds the AR with a higher affinity than bicalutamide. It has no known agonist effects and inhibits nuclear translocation of the AR. Phase I and II studies demonstrated significant antitumor activity in men with CRPC regardless of their prior chemotherapy status.35,36 On the basis of these findings, two phase III studies were conducted: AFFIRM (A Study Evaluating the Efficacy and Safety of the Investigational Drug MDV3100) and PREVAIL (A safety and efficacy study of oral MDV3100 in chemotherapy-naïve patients with progressive metastatic prostate cancer). The AFFIRM trial randomized men with CRPC after chemotherapy to either enzalutamide or placebo in a 2:1 ratio. Enzalutamide significantly prolonged median OS, 18.4 months in the enzalutamide group versus 13.6 months in the placebo group (HR 0.63; p<0.001). All of the secondary endpoints including time to PSA progression (8.3 months versus 3.0 months, HR 0.25; p<0.001), radiographic PFS (8.3 versus 2.9 months, HR 0.40; p<0.001), and time-to-first skeletal event (16.7 months versus 13.3 months, HR 0.69; p<0.001) were all in favor of patients who received enzalutamide.37 The other phase III trial PREVAIL has a similar study design and investigating efficacy of enzalutamide in chemotherapynaïve patients (NCT01212991).38 This trial has recently completed accrual and the results of the first interim analysis are expected shortly. ADT is associated with multiple side effects including fatigue, hot flushes, mood lability, depression, sleep disturbance, gynecomastia, and sexual dysfunction.40–42 Long-term use of ADT can potentially cause more serious side effects such as osteoporosis, cardiovascular morbidity/mortality, and the metabolic syndrome. These adverse effects not only negatively impact on one’s health but also quality of life. In general, there is lack of awareness, early screening, and intervention of ADT-associated toxicity. The exact risk and optimal management is far from clear and ongoing research in this field is required. ADT decreases bone mineral density (BMD) and increases risk for bone fracture.43,44 Bone fractures lead to significant morbidity and have a major impact on mortality.45 Prevention of bone mineral loss through lifestyle modification (smoking cessation, decreased caffeine intake, and regular weight-bearing exercises) is often advised. Many would recommend vitamin D and calcium supplements although their role in the setting of ADT-induced bone loss remains undefined. These supplements have not been proved consistently to prevent bone loss in men with prostate cancer receiving ADT. A recent review of 12 clinical trials failed to prove their efficacy.46 Furthermore, a high level of calcium supplement is thought to be associated with increased cardiovascular disease. Future studies are required to address the safety and efficacy of these supplements. In terms of the impact of ADT on cardiovascular morbidity and mortality, there are conflicting results. Several published reports including two large population-based studies using data from Surveillance Epidemiology and End Results (SEER) reported that ADT is significantly associated with increased incidence of cardiovascular events.53,54 Retrospective analysis based on prospective randomized trials have been conducted and found no difference on cardiovascular mortality in patients receiving ADT.55–58 A meta-analysis incorporating data from eight randomized phase III trials showed ADT use was not associated with an increased risk for cardiovascular death compared with no ADT use (11.0 % versus 11.2 %; p=0.41).59 The results of retrospective analysis have their own limitations; therefore, careful interpretation is advised. Future clinical trials should prospectively assess risk factors for adverse cardiovascular events and mortality. The use of ADT has been recognized as an independent risk factor of the metabolic syndrome.60,61 There is evidence linking the use of ADT and development of insulin resistance and diabetes.62 There is also evidence suggesting ADT negatively affects lipid profile and causes a rise in serum cholesterol and triglyceride.60 Androgen suppression alters body composition by increasing body fat and decreasing lean body mass,63–65 which results in reduced physical performance and muscle strength. Prostate cancer patients receiving ADT should be educated and engaged in physical exercise to counteract ADT-induced toxicities. In a recent systemic review of 10 randomized trials, exercise intervention was found to improve a range of ADT-induced adverse effects including muscular strength, cardiorespiratory fitness, functional task performance, lean body mass, and fatigue.66 The current literature support routine implementation of structured exercise and should be considered in all patients who are receiving ADT. 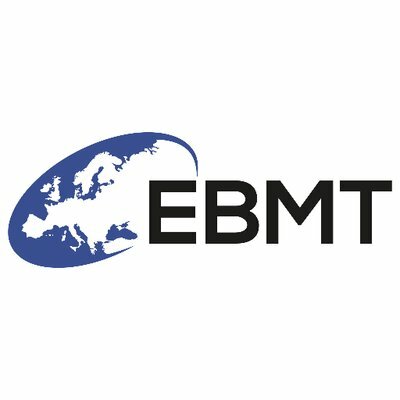 There are now mature data to support the use of combined ADT and RT in the treatment of locally advanced prostate cancer. Long-term ADT of 2 to 3 years is recommended, although the optimal duration remains to be better defined. Despite this, locally advanced prostate cancer continues to cause significant morbidity and mortality and we need to further refine and improve our management strategies. The use of newer and more potent hormonal agents in metastatic disease has produced good results but their roles in the locally advanced setting remain undefined. The traditional clinical research approach in this setting is to perform randomized phase III trials using combination of ADT and RT ± new agents using OS as the primary trial outcome. This approach, while scientifically valid, will likely take 1 to 2 decades to produce results. This is because of the prolonged survival of patients with locally advanced prostate and the risk for death from other causes. The development of valid surrogate endpoint(s) for survival in this setting is urgently needed and efforts are underway under the auspices of the Prostate Cancer Foundation. This study which is being coordinated by the Dana-Farber Cancer Institute– the intermediate clinical endpoints in cancer of the prostate initiative (ICECaP) aims to perform a meta-analysis using individual patient data of prostate cancer adjuvant trials with goal of identifying a validated intermediate clinical endpoint that will serve as an acceptable surrogate endpoint for OS. (Chris Sweeney, personal communication). Individualization of treatment and personalized cancer care is the future. In striving for personalized medicine, cellular and molecular tests are needed to better risk stratify prostate cancer patients. The biomarkers, genome sequencing, and genetic signatures may help to predict overall outcome, risk for failure, and treatment response. These tests remain to be prospectively validated before its routine use in clinical setting. Better understanding of the biology of the tumor will allow us to select the most effective therapy to enhance the overall outcome of the patients. Ferlay J, Shin HR, Bray F, et al., Estimates of worldwide burden of cancer in 2008: GLOBOCAN 2008, Int J Cancer, 2010;127:2893–917. D’Amico AV, Whittington R, Malkowicz SB, et al., Biochemical outcome after radical prostatectomy, external beam radiation therapy, or interstitial radiation therapy for clinically localized prostate cancer, JAMA, 1998;280:969–74. Lukka H, Warde P, Pickles T, et al., Controversies in prostate cancer radiotherapy: consensus development, Can J Urol, 2001;8:1314–22. Roach M, Lu J, Pilepich MV, et al., Four prognostic groups predict long-term survival from prostate cancer following radiotherapy alone on Radiation Therapy Oncology Group clinical trials, Int J Radiat Oncol Biol Phys, 2000;47:609–15. Mohler J, Bahnson RR, Boston B, et al., NCCN clinical practice guidelines in oncology: prostate cancer, J Natl Compr Canc Netw, 2010;8:162–200. Heidenreich A, Bellmunt J, Bolla M, et al., EAU guidelines on prostate cancer. Part 1: screening, diagnosis, and treatment of clinically localised disease, Eur Urol, 2011;59:61–71. Huggins C, Hodges CV, Studies on prostatic cancer. I. The effect of castration, of estrogen and androgen injection on serum phosphatases in metastatic carcinoma of the prostate, CA Cancer J Clin, 1972;22:232–40. Bolla M, Gonzalez D, Warde P, et al., Improved survival in patients with locally advanced prostate cancer treated with radiotherapy and goserelin, N Engl J Med, 1997;337:295–300. 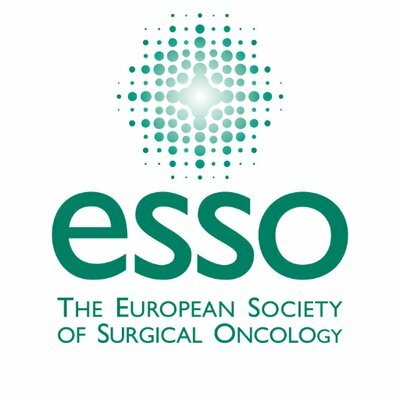 Bolla M, Collette L, Blank L, et al., Long-term results with immediate androgen suppression and external irradiation in patients with locally advanced prostate cancer (an EORTC study): a phase III randomised trial, Lancet, 2002;360:103–6. 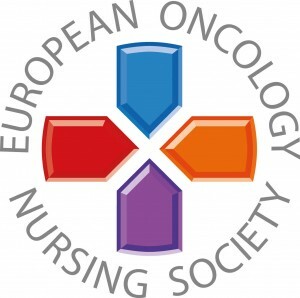 Bolla M, Van Tienhoven G, Warde P, et al., External irradiation with or without long-term androgen suppression for prostate cancer with high metastatic risk: 10-year results of an EORTC randomised study, Lancet Oncol, 2010;11:1066–73. Pilepich MV, Winter K, Lawton CA, et al., Androgen suppression adjuvant to definitive radiotherapy in prostate carcinoma--longterm results of phase III RTOG 85-31, Int J Radiat Oncol Biol Phys, 2005;61:1285–90. Bolla M, de Reijke TM, Van Tienhoven G, et al., Duration of androgen suppression in the treatment of prostate cancer, N Engl J Med, 2009;360:2516–27. Hanks GE, Pajak TF, Porter A, et al., Phase III trial of long-term adjuvant androgen deprivation after neoadjuvant hormonal cytoreduction and radiotherapy in locally advanced carcinoma of the prostate: the Radiation Therapy Oncology Group Protocol 92-02, J Clin Oncol, 2003;21:3972–8. 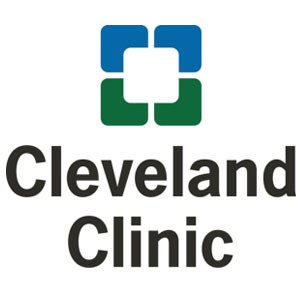 Horwitz EM, Bae K, Hanks GE, et al., Ten-year follow-up of radiation therapy oncology group protocol 92-02: a phase III trial of the duration of elective androgen deprivation in locally advanced prostate cancer, J Clin Oncol, 2008;26:2497–504. Nabid A, Carrier N, Martin A, et al., Duration of androgen deprivation therapy in high-risk prostate cancer: A randomized trial, J Clin Oncol, 2013;31:(Suppl. 18; abstr LBA4510). Trans-Tasman Radiation Oncology Group (TROG). A randomised trial investigating the effect on biochemical (PSA) control and survival of different durations of adjuvant androgen deprivation in association with definitive radiation treatment for localised carcinoma of the prostate. In: ClinicalTrials.gov [Internet]. Bethesda (MD). National Library of Medicine (US). 2000- [cited 2014 Jan 08], Available at: https://clinicaltrials.gov/ct2/show/NCT00193856 NLM Identifier: NCT00193856. Warde P, Mason M, Ding K, et al., Combined androgen deprivation therapy and radiation therapy for locally advanced prostate cancer: a randomised, phase 3 trial, Lancet, 2011;378:2104–11. 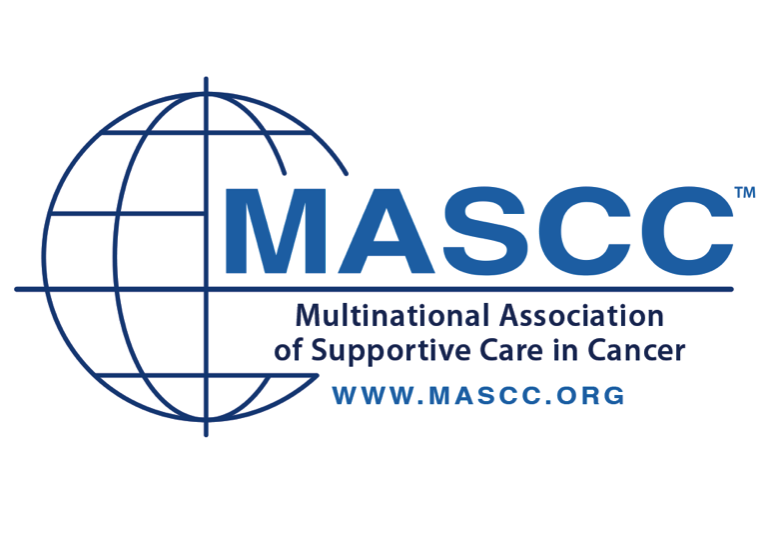 Mason M, Parulekar W, Sydes M, et al., Final analysis of intergroup randomized phase III study of androgen deprivation therapy (ADT) plus radiation therapy (RT) in locally advanced prostate cancer (CaP) (NCIC-CTG, SWOG, MRC-UK, INT: T94-0110), J Clin Oncol, 2012;30:(Suppl. 15; abstr 4509). 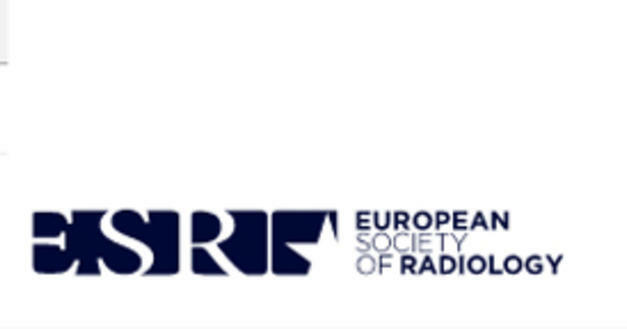 Widmark A, Klepp O, Solberg A, et al., Endocrine treatment, with or without radiotherapy, in locally advanced prostate cancer (SPCG-7/ SFUO-3): an open randomised phase III trial, Lancet, 2009;373:301–8. Mottet N, Peneau M, Mazeron JJ, et al., Addition of radiotherapy to long-term androgen deprivation in locally advanced prostate cancer: an open randomised phase 3 trial, Eur Urol, 2012;62:213–9. Roach M, 3rd, DeSilvio M, Lawton C, et al., Phase III trial comparing whole-pelvic versus prostate-only radiotherapy and neoadjuvant versus adjuvant combined androgen suppression: Radiation Therapy Oncology Group 9413, J Clin Oncol, 2003;21:1904–11. 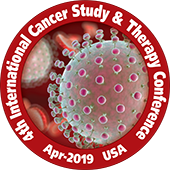 Lawton CA, DeSilvio M, Roach M, 3rd, et al., An update of the phase III trial comparing whole pelvic to prostate only radiotherapy and neoadjuvant to adjuvant total androgen suppression: updated analysis of RTOG 94-13, with emphasis on unexpected hormone/radiation interactions, Int J Radiat Oncol Biol Phys, 2007;69:646–55. Gittelman M, Pommerville PJ, Persson BE, et al., Degarelix Study G. A 1-year, open label, randomized phase II dose finding study of degarelix for the treatment of prostate cancer in North America, J Urol, 2008;180:1986–92. Van Poppel H, Tombal B, de la Rosette JJ, et al., Degarelix: a novel gonadotropin-releasing hormone (GnRH) receptor blocker-- results from a 1-yr, multicentre, randomised, phase 2 dosagefinding study in the treatment of prostate cancer, Eur Urol, 2008;54:805–13. Klotz L, Boccon-Gibod L, Shore ND, et al., The efficacy and safety of degarelix: a 12-month, comparative, randomized, open-label, parallel-group phase III study in patients with prostate cancer, BJU Int, 2008;102:1531–8. 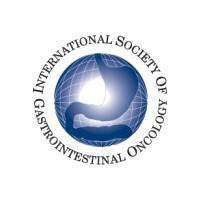 Tombal B, Miller K, Boccon-Gibod L, et al., Additional analysis of the secondary end point of biochemical recurrence rate in a phase 3 trial (CS21) comparing degarelix 80 mg versus leuprolide in prostate cancer patients segmented by baseline characteristics, Eur Urol, 2010;57:836–42. Mason M, Maldonado Pijoan X, Steidle C, et al., Neoadjuvant androgen deprivation therapy for prostate volume reduction, lower urinary tract symptom relief and quality of life improvement in men with intermediate- to high-risk prostate cancer: a randomised non-inferiority trial of degarelix versus goserelin plus bicalutamide, Clin Oncol (R Coll Radiol), 2013;25:190–6. Axcrona K, Aaltomaa S, da Silva CM, et al., Androgen deprivation therapy for volume reduction, lower urinary tract symptom relief and quality of life improvement in patients with prostate cancer: degarelix vs goserelin plus bicalutamide, BJU Int, 2012;110:1721–8. de Bono JS, Logothetis CJ, Molina A, et al., Abiraterone and increased survival in metastatic prostate cancer, N Engl J Med, 2011;364:1995–2005. Fizazi K, Scher HI, Molina A, et al., Abiraterone acetate for treatment of metastatic castration-resistant prostate cancer: final overall survival analysis of the COU-AA-301 randomised, double-blind, placebo-controlled phase 3 study, Lancet Oncol, 2012;13:983–92. Ryan CJ, Smith MR, de Bono JS, et al., Abiraterone in metastatic prostate cancer without previous chemotherapy, N Engl J Med, 2013;368:138–48. Millennium Pharmaceuticals, Inc. Study comparing orteronel plus prednisone in patients With metastatic castration-resistant prostate cancer. In: ClinicalTrials.gov [Internet]. Bethesda (MD). National Library of Medicine (US). 2000- [cited 2014 Jan 08], National Library of Medicine (US). Available from: https:// clinicaltrials.gov/ct2/show/NCT01193257 NLM Identifier: NCT01193257. Millennium Pharmaceuticals, Inc. Study comparing orteronel plus prednisone in patients With chemotherapy-naive metastatic castration-resistant prostate cancer. In: ClinicalTrials.gov [Internet]. Bethesda (MD). National Library of Medicine (US). 2000- [cited 2014 Jan 08], National Library of Medicine (US). Available from: https://clinicaltrials.gov/ct2/show/NCT01193244 NLM Identifier:NCT01193244. Radiation Therapy Oncology Group Hormone therapy, radiation therapy, and steroid 17alpha-monooxygenase TAK-700 in treating patients with high-risk prostate cancer. In: ClinicalTrials.gov [Internet]. Bethesda (MD). National Library of Medicine (US). 2000- [cited 2014 Jan 08], National Library of Medicine (US). Available from: https://clinicaltrials.gov/ct2/show/NCT01546987 NLM Identifier: NCT01546987. 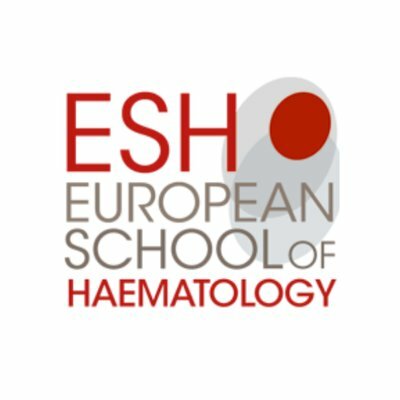 Scher HI, Beer TM, Higano CS, et al., Antitumour activity of MDV3100 in castration-resistant prostate cancer: a phase 1-2 study, Lancet, 2010;375:1437–46. 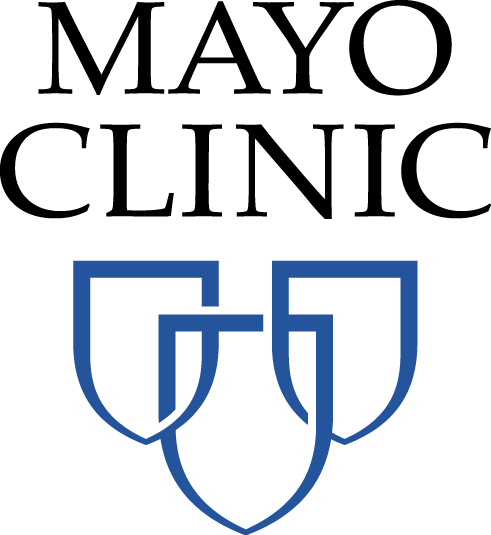 Scher HI, Halabi S, Tannock I, et al., Design and end points of clinical trials for patients with progressive prostate cancer and castrate levels of testosterone: recommendations of the Prostate Cancer Clinical Trials Working Group, J Clin Oncol, 2008;26:1148–59. Scher HI, Fizazi K, Saad F, et al., Increased survival with enzalutamide in prostate cancer after chemotherapy, N Engl J Med, 2012;367:1187–97. Medivation Inc. A safety and efficacy study of oral MDV3100 in chemotherapy-naive patients with progressive metastatic prostate cancer (PREVAIL). In: ClinicalTrials.gov [Internet]. Bethesda (MD). National Library of Medicine (US). 2000- [cited 2014 Jan 08], National Library of Medicine (US). 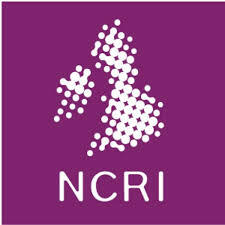 Available from: https:// clinicaltrials.gov/show/NCT01212991 NLM Identifier: NCT01212991. Thomas Jefferson University Enzalutamide, radiation therapy and hormone therapy in treating patients with intermediate or highrisk prostate cancer. 2000- [cited 2014 Jan 08], National Library of Medicine (US). Available from: https://clinicaltrials.gov/ct2/show/ NCT02023463 NLM Identifier:NCT02023463. Isbarn H, Boccon-Gibod L, Carroll PR, et al., Androgen deprivation therapy for the treatment of prostate cancer: consider both benefits and risks, Eur Urol, 2009;55:62–75. Ahmadi H, Daneshmand S, Androgen deprivation therapy: evidencebased management of side effects, BJU Int, 2013;111:543–8. Sharifi N, Gulley JL, Dahut WL, Androgen deprivation therapy for prostate cancer, JAMA, 2005;294:238–44. Smith MR, Boyce SP, Moyneur E, et al., Risk of clinical fractures after gonadotropin-releasing hormone agonist therapy for prostate cancer, J Urol, 2006;175:136–9; discussion 9. Shahinian VB, Kuo YF, Freeman JL, Goodwin JS, Risk of fracture after androgen deprivation for prostate cancer, N Engl J Med, 2005;352:154–64. Oefelein MG, Ricchuiti V, Conrad W, et al., Skeletal fracture associated with androgen suppression induced osteoporosis: the clinical incidence and risk factors for patients with prostate cancer, J Urol, 2001;166:1724–8. Datta M, Schwartz GG, Calcium and vitamin D supplementation during androgen deprivation therapy for prostate cancer: a critical review, Oncologist, 2012;17:1171–9. Smith MR, McGovern FJ, Zietman AL, et al., Pamidronate to prevent bone loss during androgen-deprivation therapy for prostate cancer, N Engl J Med, 2001;345:948–55. Smith MR, Eastham J, Gleason DM, et al., Randomized controlled trial of zoledronic acid to prevent bone loss in men receiving androgen deprivation therapy for nonmetastatic prostate cancer, J Urol, 2003;169:2008–12. Klotz LH, McNeill IY, Kebabdjian M, et al. 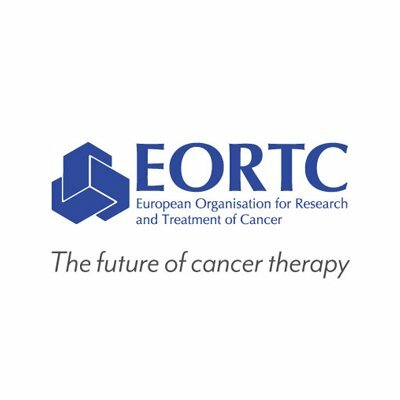 ; Canadian Urology Research C, A phase 3, double-blind, randomised, parallel-group, placebocontrolled study of oral weekly alendronate for the prevention of androgen deprivation bone loss in nonmetastatic prostate cancer: the Cancer and Osteoporosis Research with Alendronate and Leuprolide (CORAL) study, Eur Urol, 2013;63:927–35. Choo R, Lukka H, Cheung P, et al., Randomized, double-blinded, placebo-controlled, trial of risedronate for the prevention of bone mineral density loss in nonmetastatic prostate cancer patients receiving radiation therapy plus androgen deprivation therapy, Int J Radiat Oncol Biol Phys, 2013;85:1239–45. Smith MR, Egerdie B, Hernandez Toriz N, et al., Denosumab in men receiving androgen-deprivation therapy for prostate cancer, N Engl J Med, 2009;361:745–55. Smith MR, Saad F, Egerdie B, et al., Effects of denosumab on bone mineral density in men receiving androgen deprivation therapy for prostate cancer, J Urol, 2009;182:2670–5. Keating NL, O’Malley AJ, Smith MR, Diabetes and cardiovascular disease during androgen deprivation therapy for prostate cancer, J Clin Oncol, 2006;24:4448–56. Saigal CS, Gore JL, Krupski TL, et al., Androgen deprivation therapy increases cardiovascular morbidity in men with prostate cancer, Cancer, 2007;110:1493–500. Efstathiou JA, Bae K, Shipley WU, et al., Cardiovascular mortality and duration of androgen deprivation for locally advanced prostate cancer: analysis of RTOG 92-02, Eur Urol, 2008;54:816–23. Efstathiou JA, Bae K, Shipley WU, et al., Cardiovascular mortality after androgen deprivation therapy for locally advanced prostate cancer: RTOG 85-31, J Clin Oncol, 2009;27:92–9. Roach M, 3rd, Bae K, Speight J, et al., Short-term neoadjuvant androgen deprivation therapy and external-beam radiotherapy for locally advanced prostate cancer: long-term results of RTOG 8610, J Clin Oncol, 2008;26:585–91. 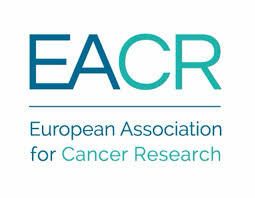 Studer UE, Whelan P, Albrecht W, et al., Immediate or deferred androgen deprivation for patients with prostate cancer not suitable for local treatment with curative intent: European Organisation for Research and Treatment of Cancer (EORTC) Trial 30891, J Clin Oncol, 2006;24:1868–76. Nguyen PL, Je Y, Schutz FA, et al., Association of androgen deprivation therapy with cardiovascular death in patients with prostate cancer: a meta-analysis of randomized trials, JAMA, 2011;306:2359–66. Braga-Basaria M, Dobs AS, Muller DC, et al., Metabolic syndrome in men with prostate cancer undergoing long-term androgendeprivation therapy, J Clin Oncol, 2006;24:3979–83. Smith MR, Lee H, McGovern F, et al., Metabolic changes during gonadotropin-releasing hormone agonist therapy for prostate cancer: differences from the classic metabolic syndrome, Cancer, 2008;112:2188–94. 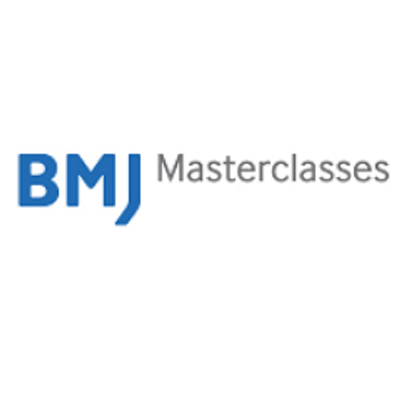 Dockery F, Bulpitt CJ, Agarwal S, Donaldson M, Rajkumar C. Testosterone suppression in men with prostate cancer leads to an increase in arterial stiffness and hyperinsulinaemia, Clin Sci (Lond), 2003;104:195–201. Smith MR, Finkelstein JS, McGovern FJ, et al., Changes in body composition during androgen deprivation therapy for prostate cancer, J Clin Endocrinol Metab, 2002;87:599–603. Galvao DA, Spry NA, Taaffe DR, et al., Changes in muscle, fat and bone mass after 36 weeks of maximal androgen blockade for prostate cancer, BJU Int, 2008;102:44–7. Smith MR, Changes in fat and lean body mass during androgendeprivation therapy for prostate cancer, Urology, 2004;63:742–5. Gardner JR, Livingston PM, Fraser SF, Effects of exercise on treatment-related adverse effects for patients with prostate cancer receiving androgen-deprivation therapy: a systematic review, J Clin Oncol, 2014;32:335–46.